Tom Brady's chef opened up about Brady's diet on Monday. It's unusual and strict. 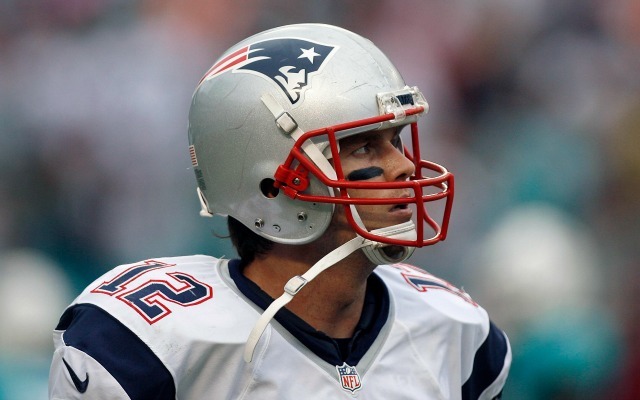 At the age of 38, Tom Brady is still operating optimally. The Patriots quarterback finished the season with 36 touchdown passes -- the highest total in the NFL -- and led the Patriots to a 12-4 record despite playing without his top targets for large chunks of the year. So, how is Brady still torching defenses on a weekly basis in his 16th season? Well for starters, he's taken care of his health. Though he's currently hobbled by a sprained ankle, he's played in all 16 games of the year -- something the Patriots have grown accustomed to over the years. Since 2009, Brady has played in all 16 games of every season. On Monday, Brady's personal chef, Allen Campbell, gave us all a glimpse into Brady's healthy lifestyle. In an interview with Boston.com's Hilary Sargent, Campbell revealed Brady's bizarre diet, which doesn't include sugar, peppers, coffee, dairy or fruit. The kids eat fruit. Tom, not so much. He will eat bananas in a smoothie. But otherwise, he prefers not to eat fruits." A little later in the interview, Campbell also noted that they "stick to gluten free for everything." That should sound familiar, as Saints quarterback Drew Brees has credited a gluten-free, dairy-free lifestyle in the past. So then, what does Brady eat? The answer appears to be vegetables and lean meat. "So, 80 percent of what they eat is vegetables. [I buy] the freshest vegetables. If it's not organic, I don't use it. And whole grains: brown rice, quinoa, millet, beans. The other 20 percent is lean meats: grass-fed organic steak, duck every now and then, and chicken. As for fish, I mostly cook wild salmon." There you have it. If you want to eat like Tom Brady, the blueprint is above. Boston.com's complete interview with Campbell is well worth a read and includes more details about Brady's diet. You can find it here.